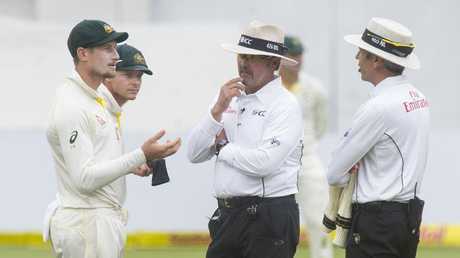 STEVE Smith has pinpointed the reaction of James Sutherland and Pat Howard to a Test loss against South Africa in 2016 as pivotal in putting Australia on a collision course with the Cape Town ball-tampering scandal. The former Australian captain opened up to Adam Gilchrist in an exclusive interview to be televised on Fox Cricket after play on Boxing Day during Cricket 360. In the 2016 Hobart Test that Smith refers to, Australia lost the series to South Africa with a match to go - making it five straight Test losses. In its aftermath, chairman of selectors Rod Marsh stepped down and sweeping changes were made to the XI. 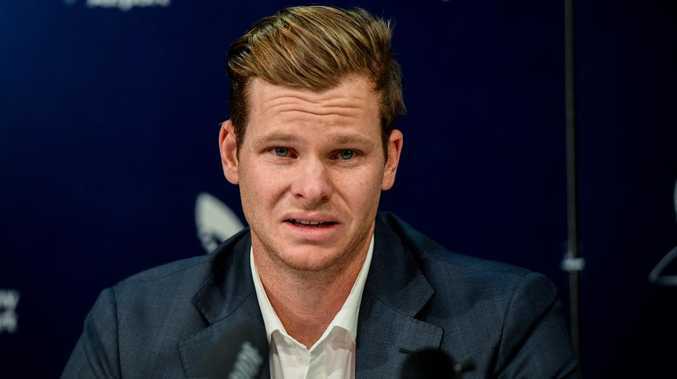 For Smith, what happened in the dressing room immediately after the match set Australia down the wrong path. 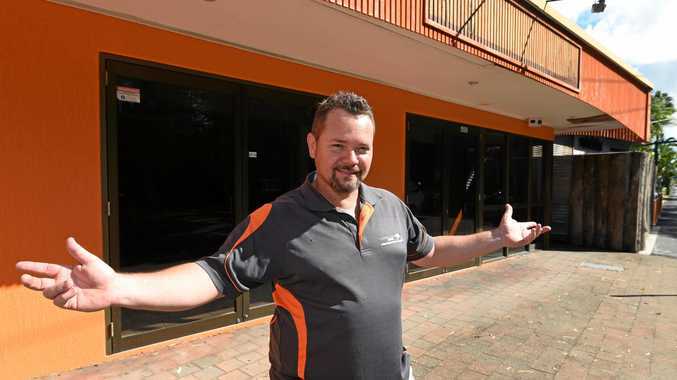 "I remember James Sutherland and Pat Howard coming into the rooms there and saying 'we don't pay you to play, we pay you to win'," Smith told Gilchrist. "For me that was a little bit disappointing. We don't go out there to try lose games of cricket, we go out there to try and win and play the best way we can." Sutherland and Howard have since stepped down from their respective roles as chief executive and high performance manager, while Smith is still paying a price for Cape Town. Smith's world came crashing down on March 24 when rookie opener Cameron Bancroft was caught red-handed using a piece of sandpaper on the ball. Despite being found to have played no role in the plan to tamper with the ball, Smith was hit with a 12-month ban by CA and ruled out of captaining the country for a further 12 months on top of that. Steve Smith and Cameron Bancroft moments after the latter was caught tampering with the ball. The exiled Australian skipper returned home with the weight of the world on his shoulders, appearing a broken man at his Sydney Airport press conference. The week that followed would be incredibly tough. "I've had ups and downs throughout the nine months," Smith told Gilchrist. "Initially the first week or so after everything went down in South Africa that was really tough. I was in a pretty dark space. "I was pretty much curled up in a ball and in tears for a lot of it. I was struggling mentally and not doing real well." It was only with the support of a close group of friends, including his wife Dani Willis and manager Warren Craig, that he was able to get his head back above the water. Rather than conspiring to tamper with the ball, Smith was found by CA to have "knowledge of a potential plan" and "failure to take steps to seek to prevent the development and implementation of that plan". Vice-captain David Warner was found to have concocted the plan and instructed Bancroft to carry it out. Nevertheless, Smith said his failure to act was a "failure of leadership". "I saw the potential for something to happen out in the middle. I didn't particularly know that it was going to happen but at that point I said I don't want to know about it. That was my failure of leadership," he said. Watch Adam Gilchrist's one-on-one interview with Steve Smith on Fox Cricket Ch 501 after play on day one of the Boxing Day Test.